There are four standard types of sealed lead acid batteries: General Purpose SLA AGM Batteries; Deep Cycle SLA AGM Batteries; High Rate; and UPS SLA AGM Batteries. Each of these battery types is explicitly designed to perform best under specific conditions. For optimum performance for your product, select a Sealed Lead Acid (SLA) battery based on your product’s application. The most commonly used of all of these types is the General Purpose SLA AGM Battery. These batteries work best for backup applications and cycling (discharging and recharging). However, if you're finding that this battery needs to be cycled frequently or used in specific power draining backup applications, an alternative SLA battery type might be better. Factors including the terminal type and physical dimensions are considered when selecting the correct replacement general purpose SLA battery. 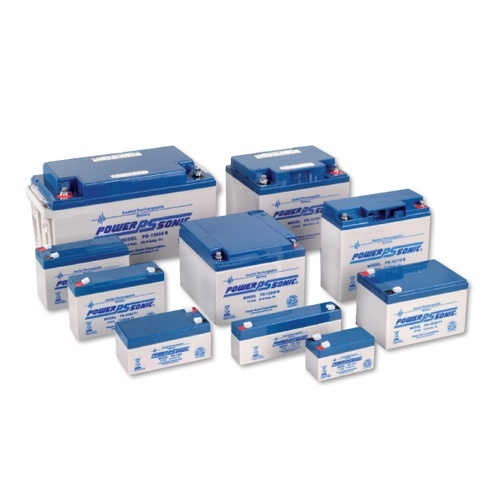 Battery Power's professionals can help you identify the perfect battery for your needs. Standard applications for General Purpose SLA AGM Batteries include security systems, emergency lighting, backups, consumer electronics, sump pumps and electronic testing equipment. Applications for Deep Cycle SLA AGM Batteries include scooters and wheelchairs, floor scrubbers, marine and RV house power, lawn and garden equipment, golf carts and trolling motors. Gel SLA battery applications include water pumping, wind generation, and remote monitoring. 911 call centers, data centers, medical equipment, cable TV, Telecom, and Internet housing sites are provided with much swifter power delivery through High Rate, UPS SLA AGM Batteries. If you need a sealed lead acid battery, please reach out to us at Battery Power at 352-314-9001 or use our online contact form for assistance.